You might think protecting the universe is a full-time job. But no! 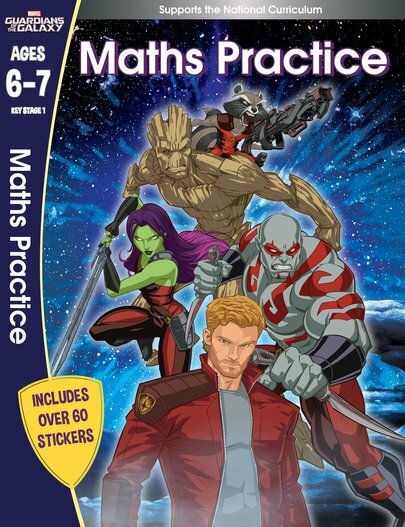 The Guardians of the Galaxy always manage to find time to study. If you don’t learn, you won’t get smart. And when it comes to beating bad guys, brains are just as important as muscle! The good news is, Star-Lord and his team want to help YOU build your brainpower. After all, maybe you’ll help to save the world one day. So get started in this colour workbook packed with stickers, activities and puzzles. You’ll love it, your teacher will love it – and one day the galaxy might thank you!